16 games were played in the NFL last week. Know how many teams scored enough points to overcome the 38 the Redskins surrendered in their 38-31 loss to Cincinnati? Two. Tennessee and Detroit played one another in a 44-41 overtime thriller. That's it. Care to guess how many teams won scoring 31 points or less? Thirteen. 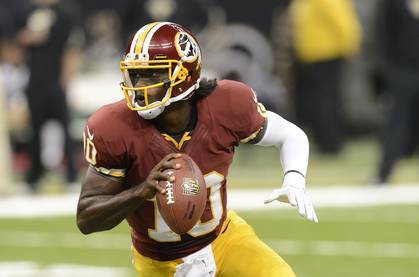 Two weeks ago, on the road against the St. Louis, the Redskins scored 28 points against the Rams and lost, 31-28. Care to guess how many games NFL teams won that week scoring 28 or less? Thirteen. In week one against New Orleans, Washington put 40 on the board. A good thing, as it turned out, because the game still came down to Drew Brees lobbing one potentially blown Hail Mary call into the Redskins end zone for a tying touchdown on the final play of the game. Take away the outlier against Eli Manning and the defending Super Bowl champion Giants, who for some reason served as Jim Haslett's personal loofah last year, and over the past half a season the Redskins defense has surrendered a dismal ... 33.7 points per game. The problem hasn't just surfaced this year. It isn't just about the loss to injury and knuckleheadedness of safeties Brandon Merriweather and Tanard Jackson, respectively. It isn't that cornerbacks Josh Wilson and DeAngelo Hall are incapable of even average play. It isn't just about losing linebacker Brian Orakpo and defensive end Adam Carriker for the season in week two. The harsh truth is that Redskins defense has been broken for a while now, and it says here that should come as no surprise. Yes, Haslett can come up with the occasional gem.. Every season he turns in a few games where the matchups fall right, the play-calling works, and the adjustments seem sound. The majority of the time, however, the game plans appear inconsistent week to week, he gets outguessed and burned too often calling plays, and the in-game adjustments yield too little improvement. All of which begs the question ... would a midseason change help? Imposible to say. Only Mike Shanahan, the other coaches and the players know if Haslett has "lost" the team, or if there is a better option already on the staff. But the alternative, unfortunately, is to continue sending a defense out week after week that comes up with a handful of big plays but simply cannot keep teams out of the end zone. Worse, as time goes by, we hear more and more suggestions from other teams and coaches that the Redskins defense isn't hard to diagnose. The two most recent examples that spring to mind are St. Louis head coach Jeff Fischer and his "bring it, we got answers" attitude when asked about concerns over the Haslett blitz packages. And just this week, word whispered out of Cincinnati that the Bengals drew up that soul-killing wildcat touchdown bomb on the first play from scrimmage specifically to beat clear tells they had seen in Haslett's predictable zero-blitz response to the wildcat formation. That kind of thing, over time, adds up. Particularly so when the stark evidence of the numbers seem to back it. There really is no polite way of saying it, and I actually do kind of like the man's tough-guy, glowering image, but what it has come down to for me is the impression man is in a little bit over his head. In fairness, Jim Haslett’s Washington biography is yet to be written. At this point there is no way to really know in which direction his trajectory is headed. The winds at present are are definitely blowing cold, though, and should it continue that way, the expression “zero blitz” could end up joining “rocket screen” and “what we do works” in the Redskins Ring of Lexicon Infamy. To my eye, Haslett’s record as an NFL defensive coordinator speaks for itself. And whether the 2012 Redskins defense turns it around and performs at an even average level, enough to give RG3 a fighting chance to have a winning rookie campaign, remains to be seen. For the record, though, I think Jim Haslett will be coaching elsewhere in 2013. Numbers alone never tell the whole story, that is a given. But sometimes what you see really is what you get. Given the defensive disaster, there is every reason to tune in this Sunday hoping for the best but expecting the worst. Another 34-31 type of loss is easy to picture. On the other hand, Redskins recent history suggests that this is precisely the kind of game they play best in. They seem to reserve their best efforts for games they are expected to lose. I am on record as thinking Jim Haslett is a lame duck. That said, history shows he also manages every once in a while to craft an unexpected gem that buys him an eleventh-hour reprieve and another few weeks of benefit of the doubt. So against my better judgement, I am taking a deep breath, squaring my shoulders, and hanging this week’s prediction hat on Sunday in the Sombrero being being such a time.